The Anthony Freedman-trained Shoals will have her lead-up to The Everest in the Premiere Stakes. Tim Clark expects Shoals to stamp herself a worthy Everest contender when she takes on the two favourites for the $13 million race in a crucial lead-up at Randwick. Six of the eight runners in Saturday’s Premiere Stakes (1200m) have guaranteed starts in the world’s richest sprint race on turf, including Shoals and leading Everest fancies Redzel and Trapeze Artist. Clark admits the mare finds herself in a hot race but he isn’t running scared. “It’s her first go against a lot of the competition for the Everest, especially the two favourites Redzel and Trapeze Artist,” Clark said. “It’s going to have a huge bearing on the market leading into The Everest so if she can perform very well and finish along with them or beat them – which I think she can – she’s going to firm up in the market. 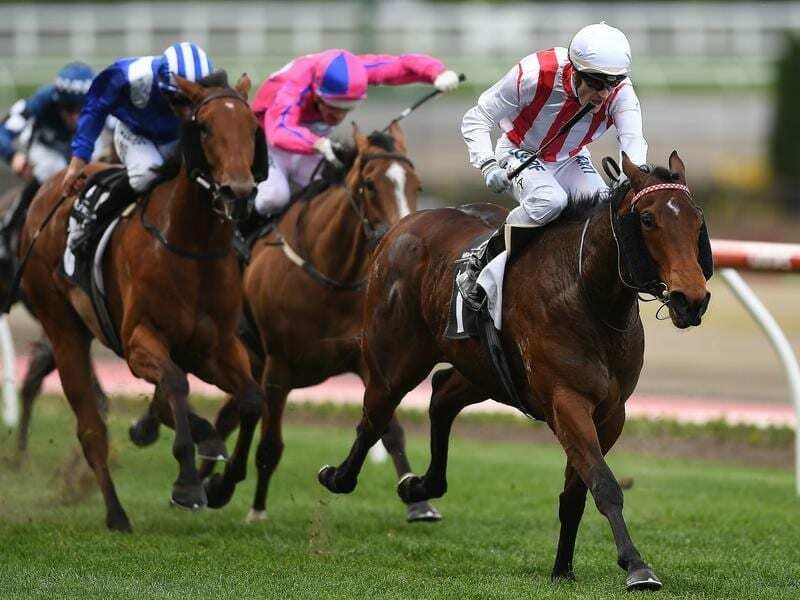 A three-time Group One winner at three, Shoals resumed with a solid fourth to Nature Strip over 1000m at Moonee Valley earlier this month. Clark travelled to Melbourne to ride her and was satisfied with her return over a distance short of her best. “I’m getting to know her more and more but I thought it was a pleasing return over what we now know is an unsuitable trip and she’s going to appreciate stepping out to 1200, she’s going to appreciate Randwick and the bit of rain around won’t hurt her either,” Clark said. Shoals is one of two Premiere Stakes runners for trainer Anthony Freedman who also has confirmed Everest runner Santa Ana Lane.